Over 260 people have reportedly died so far, mostly in Pakistan, because of a magnitude-7.5 earthquake that hit the north-eastern region of Afghanistan. The most severely affected areas are also the most remote, making the communications and recovery effort particularly difficult. Meanwhile, the death toll continues to escalate. 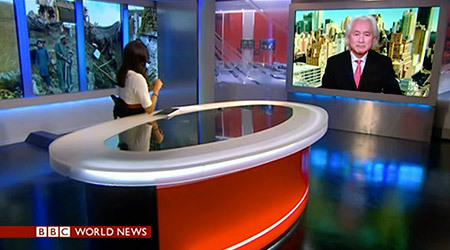 BBC World News America, reporting on the tragic events, invited Dr. Michio Kaku to join their broadcast via satellite to discuss the science underlying this seismic activity and its significance around the globe. WATCH NOW!